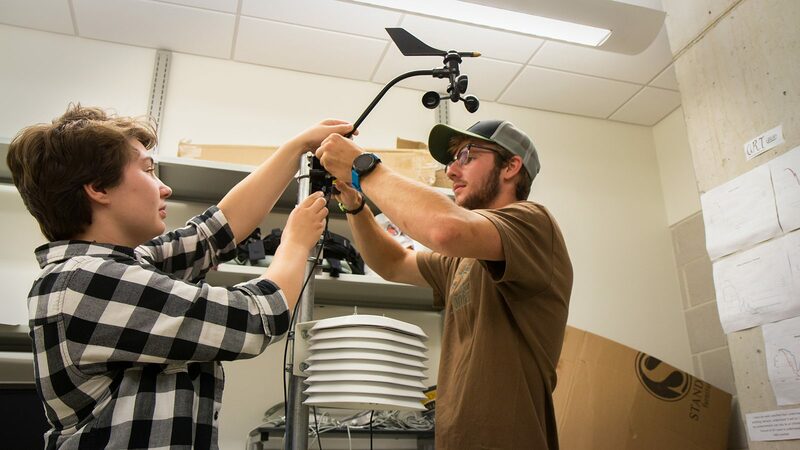 The St. Olaf Collaborative Undergraduate Research and Inquiry (CURI) program provides opportunities for St. Olaf students from all academic disciplines to gain an in-depth understanding of a particular subject through working closely with a St. Olaf faculty member in a research framework. We aim to promote and facilitate undergraduate research in all its forms by supporting students and faculty with various research opportunities during both the summer and the academic year, and by providing funding for students to present the results of their research at conferences or in other appropriate venues. Connect with our Elevator database to read project descriptions and findings including the research posters, video, film clips and artistic artifacts. Searchable by faculty, students, and keywords linked to research project ideas. Faculty-mentored research engages Oles in discovering their potential as researchers, investigators, and scholars. Through For the Hill and Beyond, Oles like are building funds to support this high-impact practice. If you want more information about supporting undergraduate research with a charitable gift, please visit our campaign website.